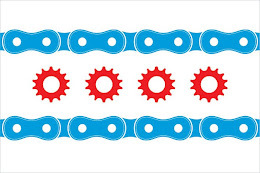 One of the first posts on IllinoisBicycleLaw.com was four years ago on Halloween in 2008. Over the past four years Keating Law Offices has been fortunate to help hundreds of bicyclists in Chicagoland and throughout Illinois. In the process we've successfully worked as advocates for the bicycle community and representing victims of bicycle accidents receive compensation for their personal injuries. If you have any questions regarding this post or an issue involving Illinois personal injury law or a bicycle accident, please contact Illinois Bicycle Attorney Mike Keating at 312-208-7702 or MKeating@KeatingLegal.com 24 hours a day, 7 days a week. All e-mails and phone calls are returned promptly. All initial consultations are strictly confidential and free.